I’m a nature lover, like you. 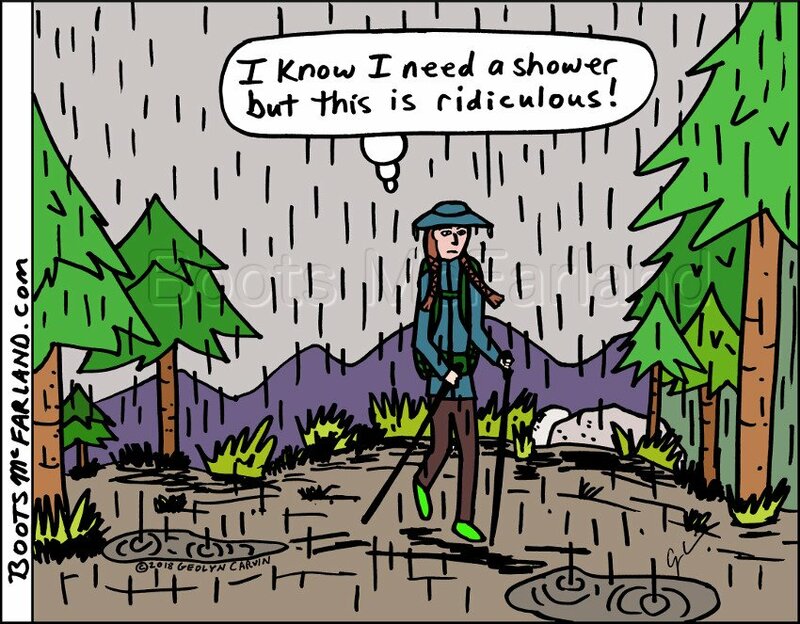 In my 13 years of section hiking (and completing) the PCT, I had a lot of experiences, mostly amazing, sometimes uncomfortable, occasionally painful, and most often humorous. 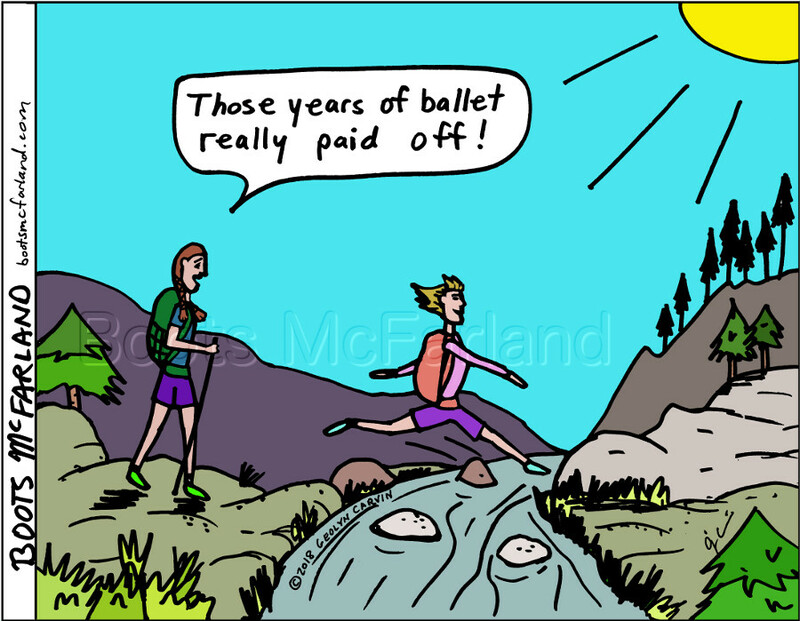 I enjoyed writing a hiking journal and soon discovered that it was fun to draw a snapshot of the trail comedy that we all experience. I’ve been drawing a cartoon weekly (more or less) ever since. It’s been a long time coming and I’m super excited to announce the release of my first book, On the Trail with Boots McFarland – Volume 1. It’s a collection of some of the funniest comics and it also includes a few of my PCT journal entries for a little extra insight. 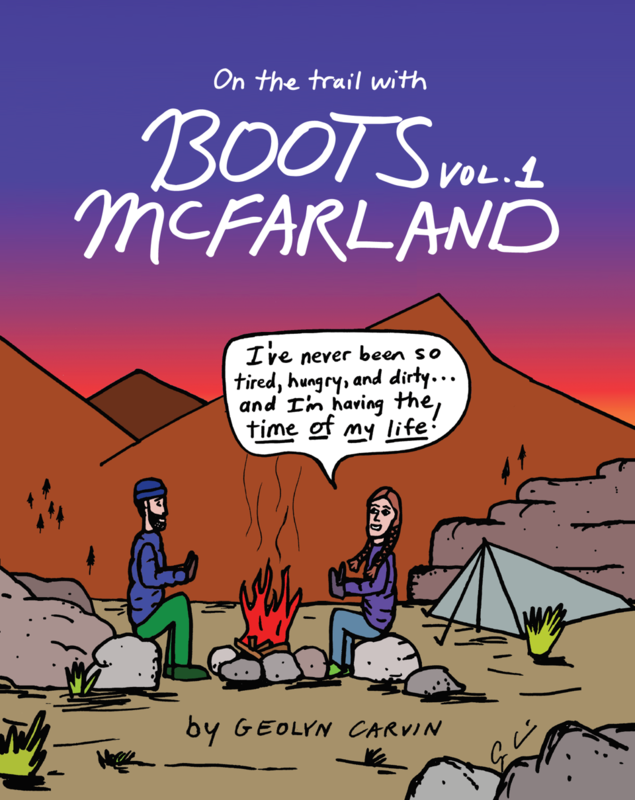 On the Trail with Boots McFarland – Volume 1 is available on Amazon.